Articles tagged with "John Christian" on OverMachoGrande.com! Updates to the site coming soon!!! 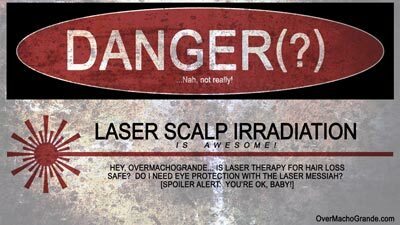 Also, I'm changing the name of the "Laser Usage Protocols" to "Laser Therapy Enhancement Techniques". Sorry it's been so long with the site updates!!! One thing that many people don't realize is that unlike people on the internet, I AM THE GUY that actually MAKES THE HELMETS!!! I'm the manufacturer, the email answerer, the shipper -every part of it is done by me! Ha ha, so sometimes it's tough for me to make time for the website! 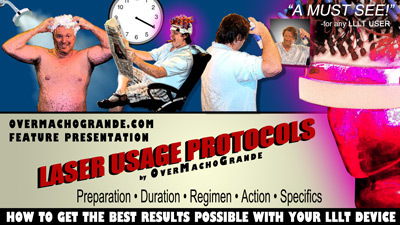 My email life, however, is PROLIFIC --I happily spend hours a day on it most days, and you are welcome to get all the current info by emailing me at omg@​overmachogrande​.com! I *almost* have my studio set up, so videos with your favorite people (like Brian Simonis at ImmortalHair.com will be coming soon!!!! After that -the site is going to be mega active! 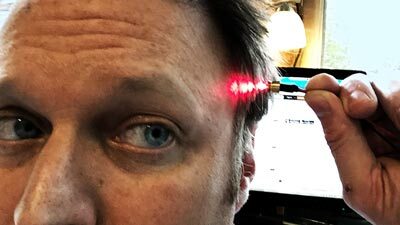 By the way, I have a new name for the "Laser Usage Protocols" section... it will be called "Laser Therapy Enhancement Techniques"! 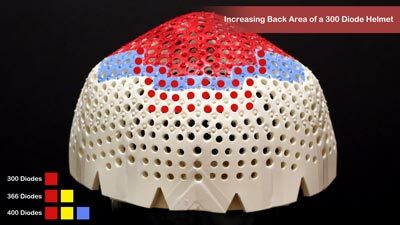 This name is less confusing --they are items that you can do to enhance laser therapy, and aren't necessarily required! I hope this name clears it up! Immortal Hair's YouTube discussion on fatigue and thyroid symptoms, and LLLT for Depression! Happy belated Father's Day to all you swaggering daddies out there! 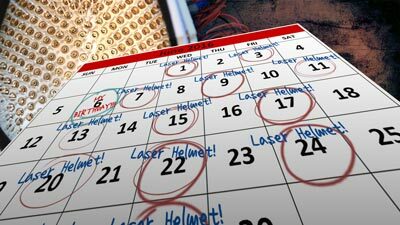 While much of the Western World is on vacation, I will be building the world's greatest laser helmet, the Laser Messiah II, all week long! Brian Simonis a.k.a "Immortal Hair"/"Caustic Symmetry" at Immortal​Hair​.org released a new YouTube discussion on fatigue and thyroid symptoms (and obviously the thyroid has a lot to do with many people's hair loss! ), so check it out! 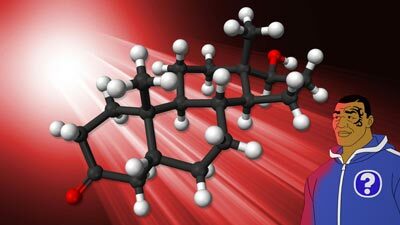 More findings were released that show that antidepressants are completely worthless for treating depression. So... what DOES work for depression? Laser therapy. 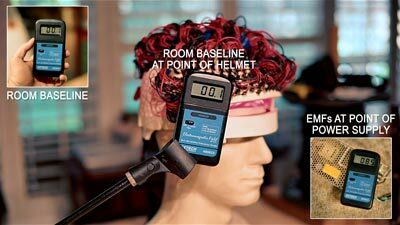 Studies like this and this show that -and welcome to the very interesting world of light energy and positive brain stimulation! View the full note to read more!!! First full week with the new site up! Finally got the new site up on Friday, June 10th at about 1PM EST -and I hope you enjoy it, and I hope I reach much more people because I feel responsible that there is still so much confusion about laser therapy devices out there! Don't buy lousy mass-marketed devices!!! 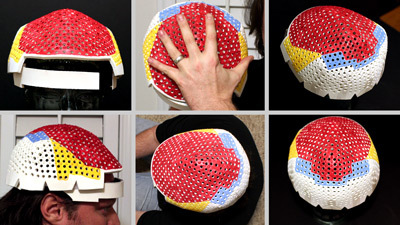 It's hot in Florida, but I’m going to enjoy a week of building the world’s greatest laser helmet, the Laser Messiah II, so to inquire about the options/pricing, or check out my buy page! Welcome to the NEW OMG SITE!!! I'm so excited, and I've been wanting to make these changes for YEARS!!! Well, the OMG site is finally finished!!! So, what new content to expect? 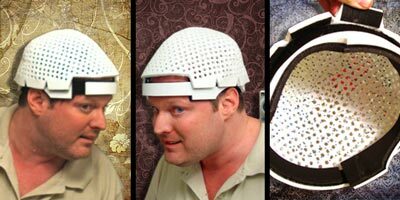 ...and where have I been/what have I been doing (besides building the greatest laser helmet for hair loss on the planet!)?? Well, read to find out!!! Detumescence Therapy, and my birthday! June 6th is my birthday, so happy birthday to me! 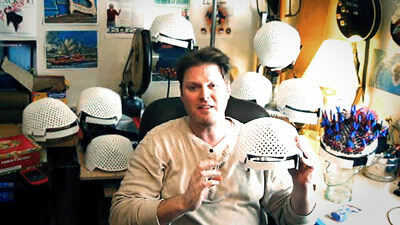 I'm looking forward to a great birthday week of building the greatest laser helmet in the WORLD --the LASER MESSIAH!!!! 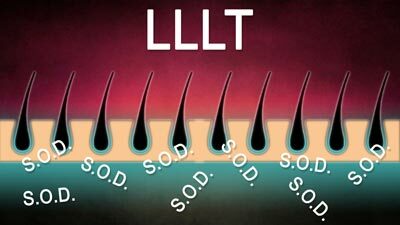 A lot of people ask me whether or not scalp massages (or "DT" --Detumescence Therapy) can be used with LLLT. The answer is a resounding YES!!! Click to read more!!! 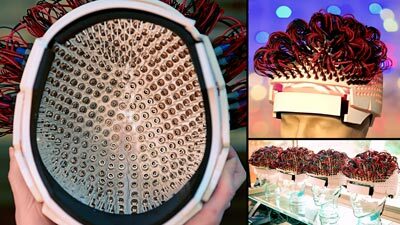 The importance of Superoxide Dismutase (S.O.D) for fighting hair loss, and why 5mW (yes, I said FIVE milliwatt) laser diodes are GRRREAT!!! Laser Therapy/LLLT is one of the best ways to get S.O.D. in the region, and S.O.D. 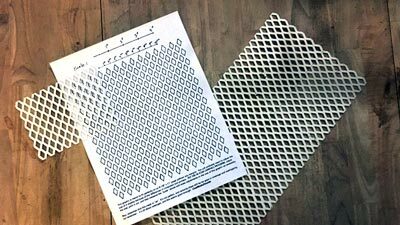 heals tissue and reverses fibrosis! It's weird... S.O.D. production is based on the TIME of exposure of LLLT! 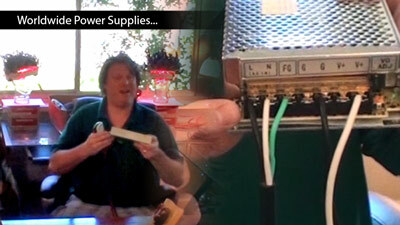 Not really the "power" --but you have to stay under a certian level, of course, to prevent overexposure. 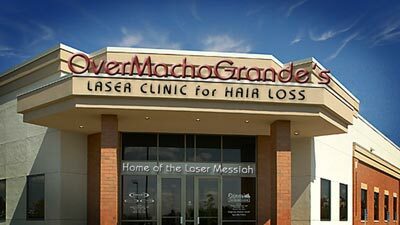 Safety of Laser Therapy for Hair Loss—Can it cause cancer?? What about eye safety??—ANSWERED! 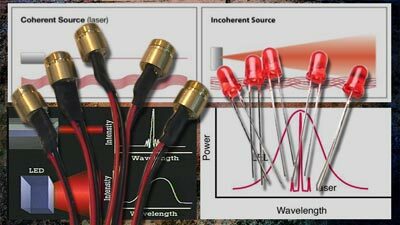 The wavelength of the diodes we use (650nm) at our power level (5mW) DO NOT cause cancer, they are considered not harmful for eyes [don't stare at them too long, though, dammit... I'm sure there *is* a way you could hurt yourself! ], and they only do GOOD THINGS to you! 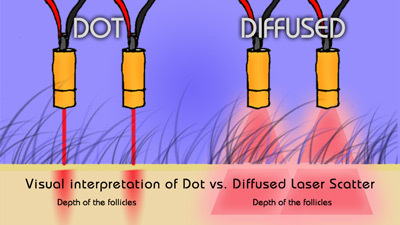 You want DIFFUSED diodes with Laser Therapy for Hair Loss—not dots! So how much do ‘diffused diodes’... diffuse?? 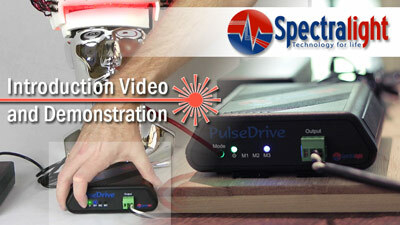 -Laser diffusion sizes at 1cm / 2cm / 3cm! 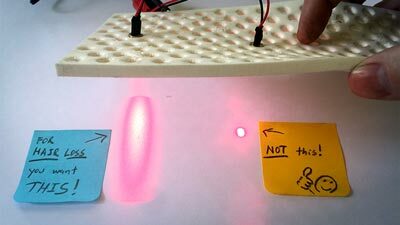 We noticed eons ago from our own experiments that "diffused" (uncollimated)laser diodes (with lens caps removed) work better than "dots". We also noticed that most pro devices remove the lens caps and have "diffused" diodes, whereas many of the mass-marketed crappy ones still have that lens cap, constraining the footprint and sucking away power.